Ischgl's slopes are more like those of a purpose-built French resort than a typical Tirolean place - high, snow-sure and fab for intermediates. It can't compete with the big boys in terms of extent but it's plenty big enough. And its lift system (with over 80% of them fast, including 22 fast chairs) is far better than anything in France. But the village and vibes are most definitely Austrian - largely built in traditional chalet style and with raucous après-ski that lasts from after lunch till dawn. Ischgl is a compact village tucked away south of St Anton in the long, narrow Paznaun valley on the Swiss border; the ski area is shared with Samnaun in Switzerland. The Silvretta lift pass also covers Galtür further up the valley and Kappl and See down the valley. All are linked by ski-buses and worth visiting; they make cheaper, quieter bases. You can visit St. Anton by car to! 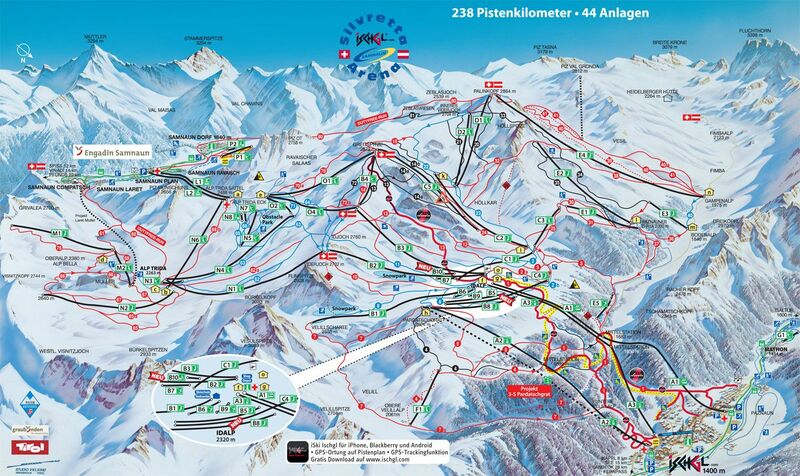 We've partnered with Ongosa, who recommend and book the best snowsports instructors and guides in Ischgl for you. Kitzloch - They offer dishes ranging form the traditional Tyrolean cuisine to international haute cuisine. Cafe Restaurant Salner - This cafe restaurant in Ischgl they indulge you with delicious regional treats and international dishes. Top-notch ingredients, including those from ‘Genussregion Paznaun’, and attentive service are what Cafe Restaurant Salner is noted for. Lucy Wang - Nice looking restaurant with a bar for trendy cocktails. Modern, tasty flavors, a large selection of sushis. Innovative ingredients and cookiet. 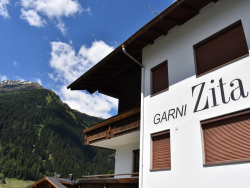 Anyone who knows all about the snowy metropolis of Ischgl in the winter is aware that this impressively located holiday town in Paznaun is synonymous with top-quality events and pure joie de vivre. In summer too highlight events such as the glamorous Cart Trophy and the legendary Ironbike pull in the visitors, but Ischgl is much more than this – mountain bikers, hikers and connoisseurs can experience a summer in the mountains here which could barely be any more variety-packed. Endless single trails in front of an unspoilt mountain backdrop, versatile hiking routes for every fitness level and culinary highlights on the mountain and in the valley are waiting to be discovered. [short_description] => This charming chalet is situated in the beautiful village of Ischgl. From the chalet you can overlook the fabulous centre. This charming chalet is situated in the beautiful village of Ischgl. From the chalet you can overlook the fabulous centre.